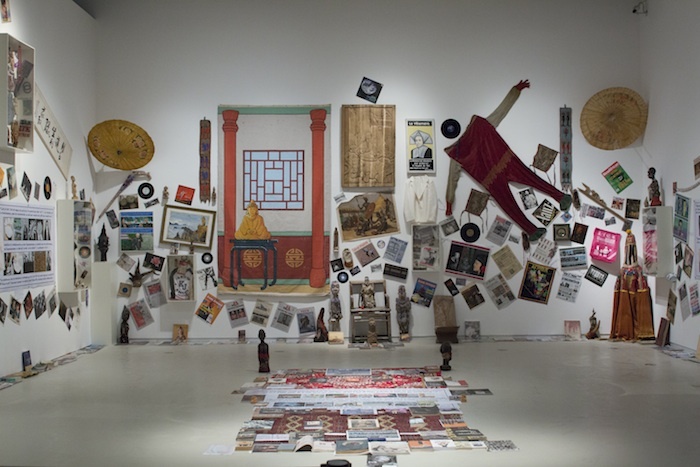 Forms and gestures are repeated and superimposed throughout the exhibition. The slow, long shots of assembly line workers with eerily fitting white masks in Yang Zhenzhong’s Disguise (2015) continue on various screens throughout the building, forcing the visitor to look again, and harder. Kendell Geers’s typographical interlacing of the Chinese characters for “revolution,” which form a glyph resembling the traditional pictogram of double happiness, magnifies an ironic and dissonant pleasure (PostPopRevolution, 2011). There’s also the architectonic sensation of tracing Liu Wei’sPanorama (2016)—a series of abstract structures that seem to constellate the ghosts of Vladimir Tatlin, Italian Futurism, and urban sculpture from 1990s China—up the grand stairs and towards the gargantuan installation built by Mou Sen and MSG, an experimental theater collective founded by Mou. 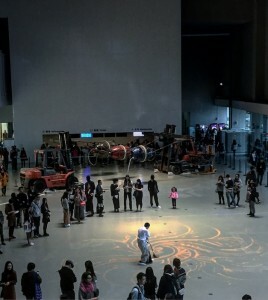 Titled The Great Chain of Being—Planet Trilogy (2016), it is a “storytelling machine” about humanity’s dystopian turn: visitors enter through a crashed airplane broadcasting murky sound-bites of recent political regimes to explore the dark hearts of a strange (or estranged) planet of eschatological spectacles and post-human digital ruins. The theatrics are heavy-handed, with its crater, chasm, and a torchlight jerking menacingly above like the Eye of Sauron, but there’s some validity in the naturalism of this harrowing visualization, as dystopia manifests itself more and more readily in immediate realities. 1Chen Zhe, Remembering the Forgotten, Forgetting the Remembered (Revisiting “The Bearable”), 2007. 2Lee Mingwei, Our Labyrinth, 2015-ongoing. 3Patty Chang, The Wandering Lake, 2009. 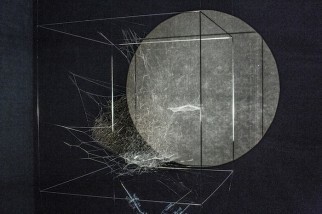 4Marjolijn Dijkman, Lunar Station, 2015. 5Georges Adéagbo, “The revolution and the revolutions”…!, 2016. 7István Zsíros, Borderless Love, 2015. 8MouSen+MSG, The Great Chain of Being Planet Trilogy, 2016. 10Phuong Linh Nguyen, Sanctified Clouds, 2015. 11Vishal K. Dar, Maruts – Storm Deities, 2016. 1Chen Zhe, Remembering the Forgotten, Forgetting the Remembered (Revisiting “The Bearable”), 2007. 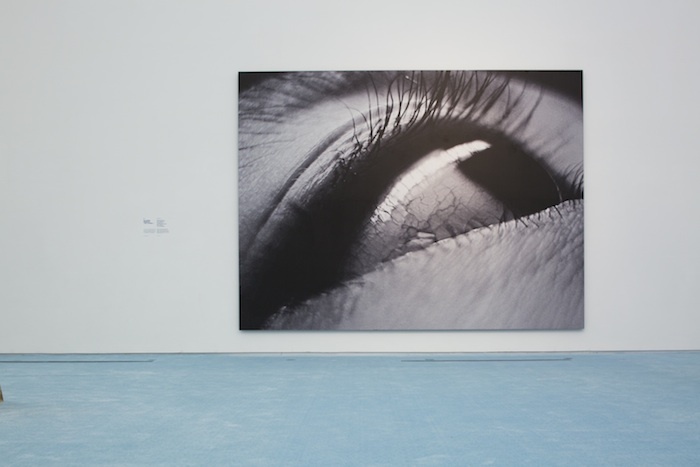 Photographic print, 400cm x 300cm. Image courtesy of Shanghai Biennale. 2Lee Mingwei, Our Labyrinth, 2015-ongoing. Rice, grains, seeds, costume, dance. 3Patty Chang, The Wandering Lake, 2009. 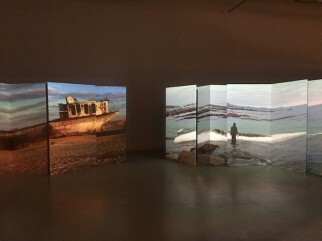 Cardboard installation with photographs and projection, dimensions variable. 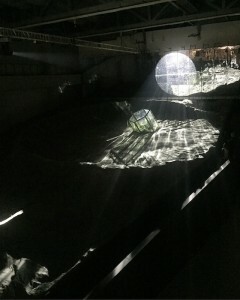 Image courtesy of Shanghai Biennale. 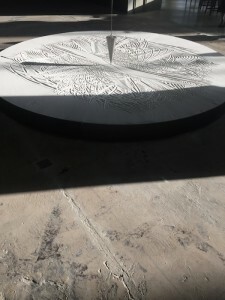 4Marjolijn Dijkman, Lunar Station, 2015. 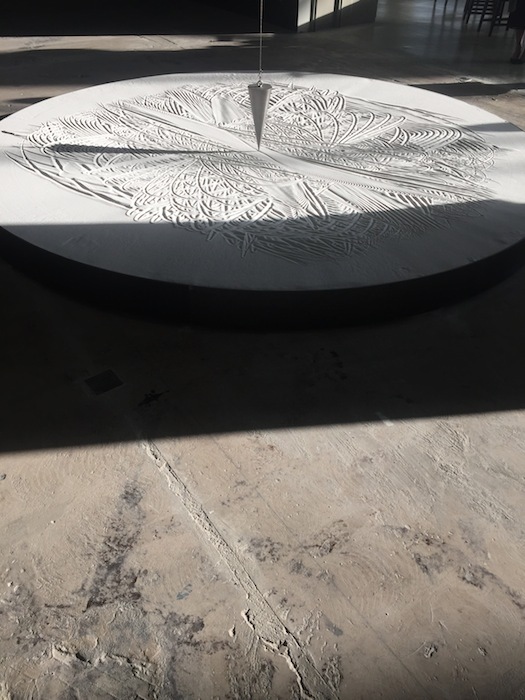 Steel pendulum and sand, table, video, found objects, dimensions variable. 5Georges Adéagbo, “The revolution and the revolutions”…!, 2016. Objects, artifacts, texts, paintings, magazines, dimensions variable. 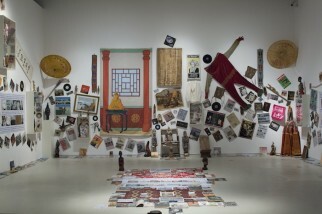 Image courtesy of Shanghai Biennale. 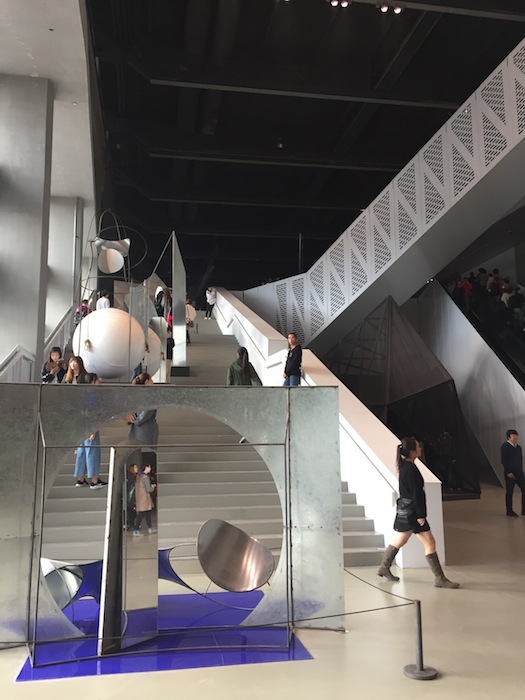 6Liu Wei, Panorama, 2016. Mixed media, dimensions variable. 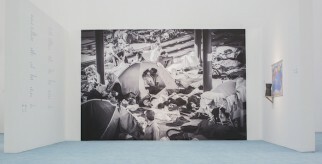 7István Zsíros, Borderless Love, 2015. 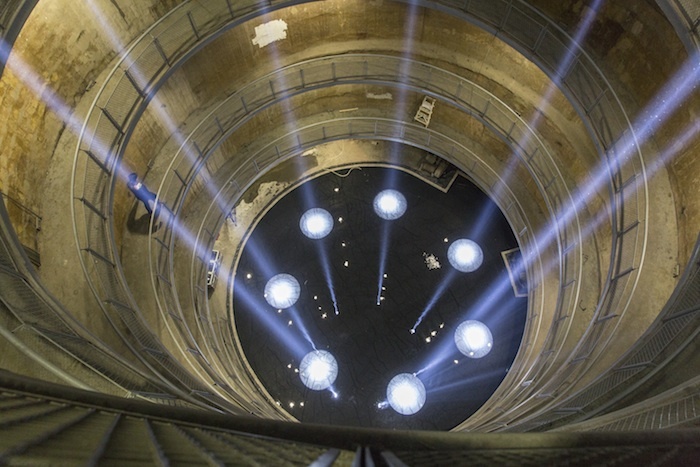 Image courtesy of Shanghai Biennale. 8MouSen+MSG, The Great Chain of Being Planet Trilogy, 2016. Experimental theater space, videos, sound, objects, and bees. 9Tomás Saraceno, Webs, 2016. Spider silk, cosmic dust, stellar wind, projection, dimensions variable. Image courtesy of Shanghai Biennale. 10Phuong Linh Nguyen, Sanctified Clouds, 2015. 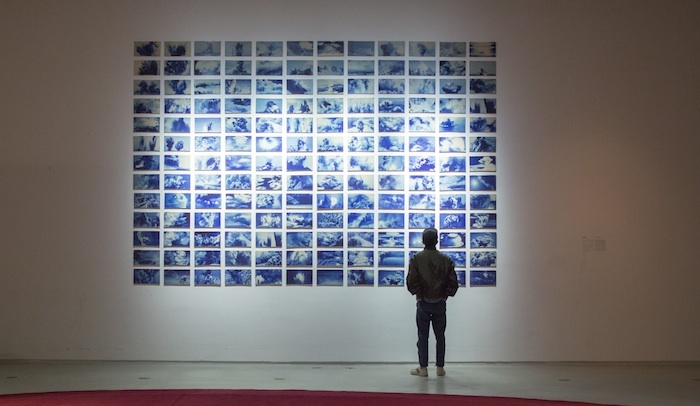 140 digital prints on porcelain, 513 x 225 cm. Image courtesy of Shanghai Biennale. 11Vishal K. Dar, Maruts – Storm Deities, 2016. Installation with beam lights and reflection pool. 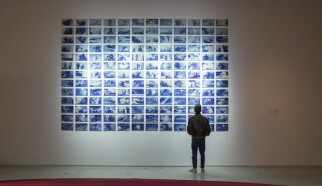 Image courtesy of Shanghai Biennale.